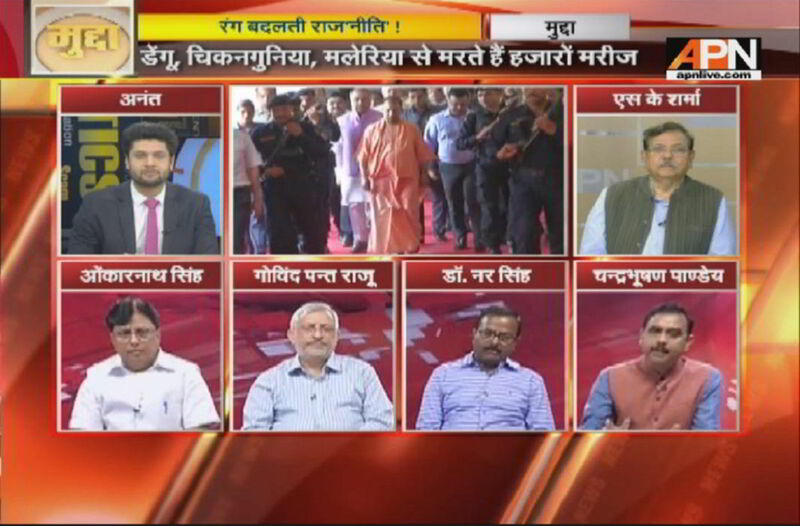 Monday’s edition of Mudda discussed the new survey by Pew Research Center which disclosed some surprising results about what Indians think of their government. The survey revealed that more than four-fifths of Indian citizens trust in the present government. It also revealed that a majority of Indians are in favour of military rule and autocracy. More than one-fourth of the people want a strong leader. 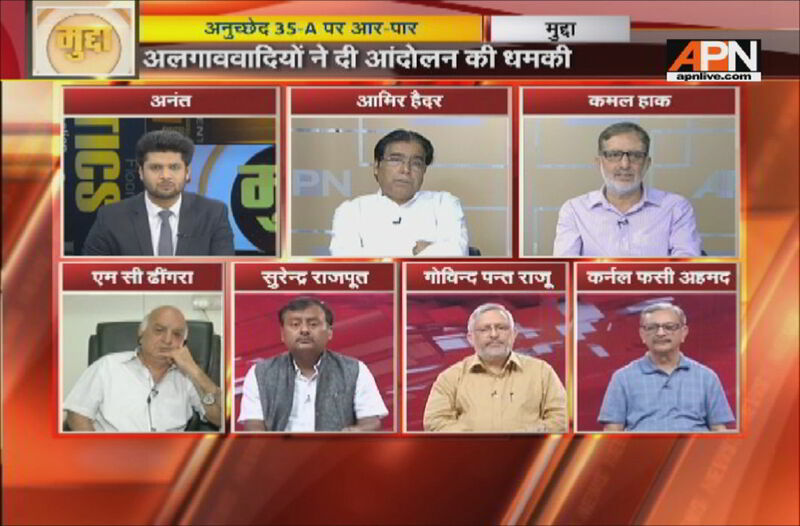 The show was moderated by Anant Tyagi. 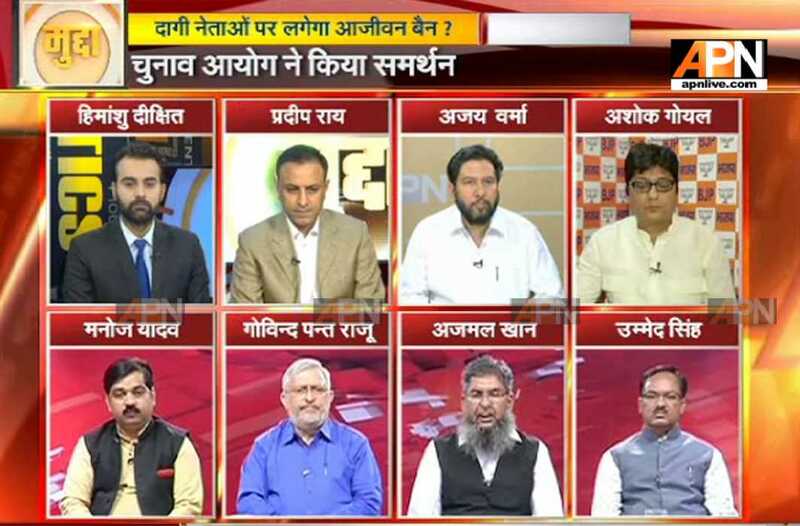 The panellists were Harish Srivastava from BJP, Omkar Nath Singh from Congress, Hindu spiritual leader HS Rawat, Manoj Yadav from Samajwadi Party and APN consulting editor Govind Pant Raju. Omkar Nath Singh disagreed that Indians wanted an autocratic government. He said that the country has always upheld democratic values and whenever autocratic situations have arisen like the emergency, the people have revolted. On the finding that the popularity of Modi is intact, Singh said that Modi has failed to fight fear, hunger and corruption. He pointed out how the murderers of Pehlu Khan were offered a job with the NTPC, how the country’s position has fallen on the World Hunger Index and how BJP president Amit Shah’s son Jay Shah has used his father’s good offices to multiply his profits exponentially. Raju concluded saying that demonetisation and GST have hit the economy so hard that it is yet to get over the shock. He also said that if the opposition fails to make its presence felt, Modi will continue to retain his popularity during the 2019 elections. He then explained how Atal Bihari Vajpayee was also very popular but that did not translate into votes as nothing is certain in politics. 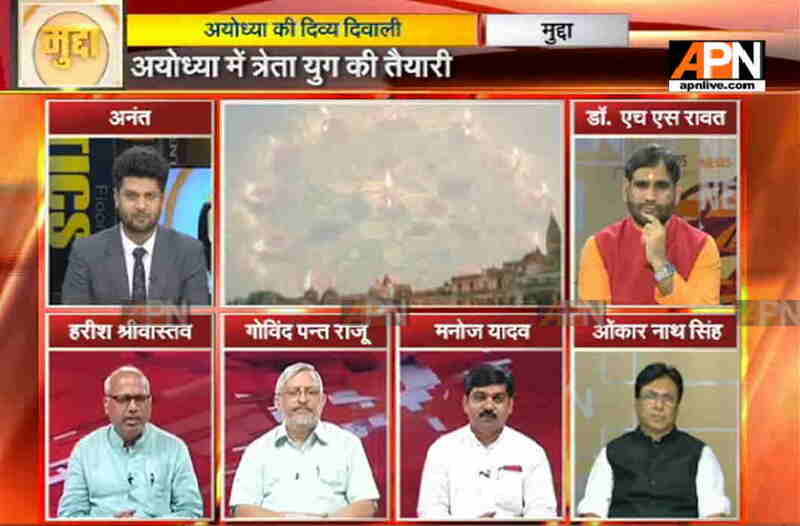 The issue of Ayodhya being left out when it comes to development despite being very much present in national debate was also taken up. Yogi Adityanath is planning grand Diwali celebrations in Ayodhya and will be spending crores of rupees in lighting up the town to commemorate the Treta Yuga homecoming of Lord Ram. All of Ayodhya will be lit up with lamps to mark the beginning of Chhoti Diwali. 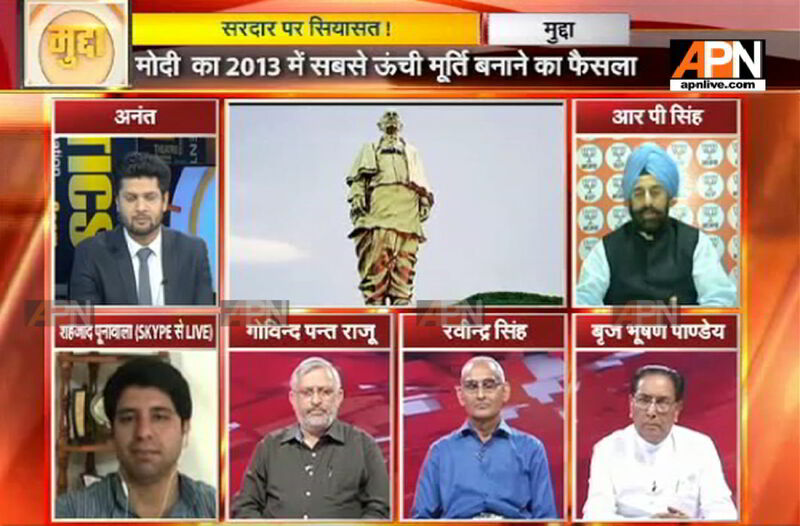 The Mudda panel debated whether the BJP was trying to keep alive the Ram Mandir issue in this way. When Srivastava said that no temple construction can take place without the permission of the apex court, Rawat got furious. He said that the BJP should have considered it before promising the people that it would build the temple as soon as it comes to power and now the party cannot escape with the excuse of not having SC’s permission. “Didn’t you know that the matter was sub judice in 2014, 2009 and 2004?” he said. 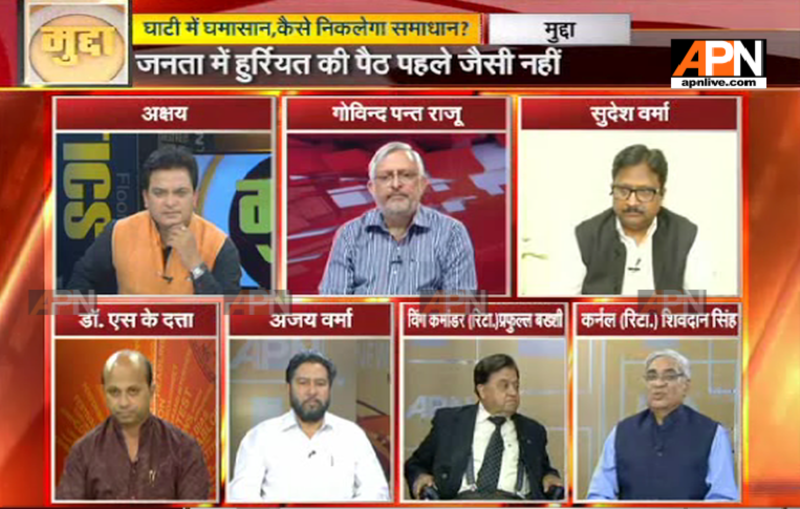 Raju explained that every party has used Ayodhya for its political gain but no one bothered to develop Ayodhya. “Every single party has played politics over Ayodhya but if they really cared about it they would have worked for its development,” he said. He also said that it is impractical to speak about temple construction as the matter is in the court. But he added that if the BJP stopped playing Hindutva politics, the Congress would usurp it.